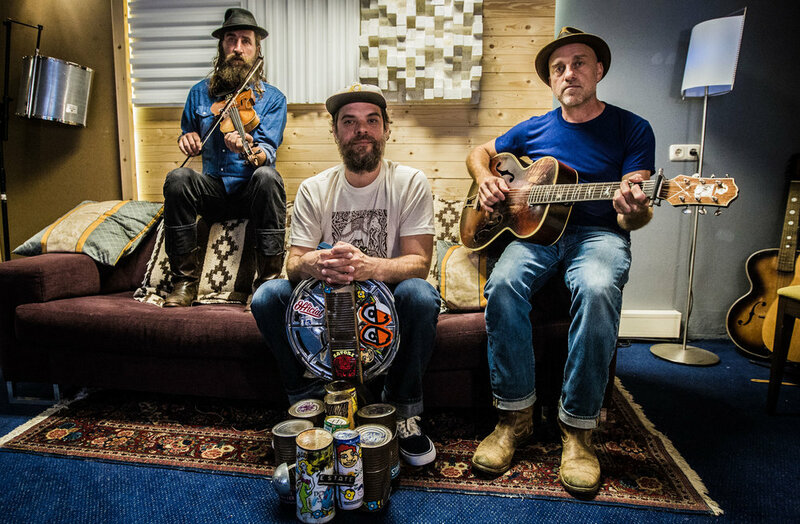 For almost two decades, the Hackensaw Boys have plowed the asphalt bringing their raw, gritty American vernacular sounds to the music halls and streets across the world. Twenty years later, the group continues their burning hot vision of American roots music into a new age, fueled as much by a rowdy punk spirit as by the traditional masters that first inspired them. The music began in 1999 when four friends from Virginia’s beautiful Shenandoah Valley found their collective ways to the roots music hub of Charlottesville. They didn’t waste time getting going, playing a show on the street the day of their first practice. The group let the good times roll and started adding like-minded people until their ranks reached twelve players for their first US tour. As with the folk and punk traditions which form the foundation of their sound, they’ve always operated more as a collective than a band. All said, twenty-eight members have cycled through the group—you never quite know who might sit in as a guest on any given night. Helmed by founding member David Sickmen, the Hackensaw Boys have always had more in common with bands like The Clash, who celebrated the working class roots of their own music, than they did with an overly-polished Nashville mainstream. As evidenced in the Hackensaws’ history, their music fit as easily backing Charlie Louvin as it did in backstage jams on tour with Modest Mouse and the Flaming Lips. With their most recent release, a fresh take on Blaze Foley’s “Oval Room,” these roots music stalwarts speak directly to America's political unrest. Written and recorded by Foley in the 1980s, the song recalls his list of grievances with the Reagan presidency: "Everywhere he goes, make the people mad / Makes the poor man beg, and the rich man glad." The band was excited to resurrect this protest gem—which was recorded by their friend Thomas Olivier at Studio Americain in Amsterdam—as the words seem more timely than ever.